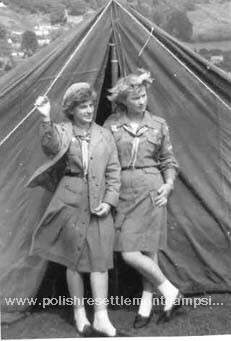 Władek Wiecheć was a very active and dedicated leader of the Northwick branch of the scouts. 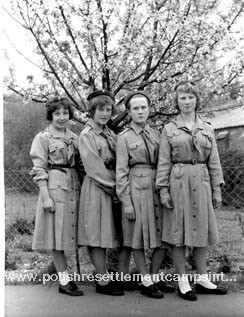 In the late 50s and 60s the Polish scout and guide movement was the largest Polish youth organisation in the British Isles.The headquarters of the movement was in London with local district organisations. 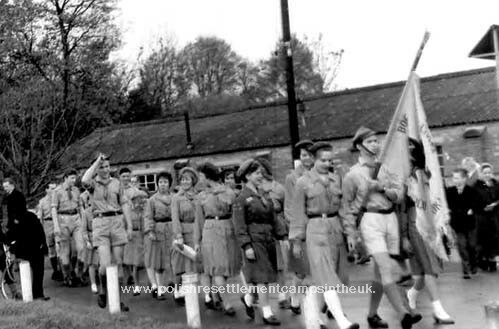 Our district in the Midlands was based in Swindon. 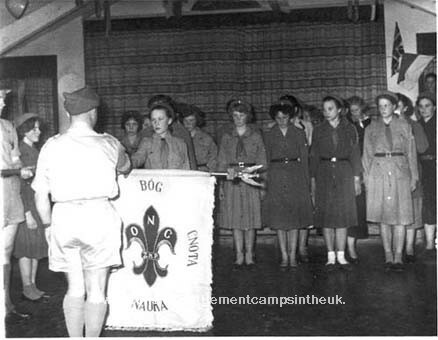 At that time both scouts and guides were in the same district "Hufiec Szczecin". 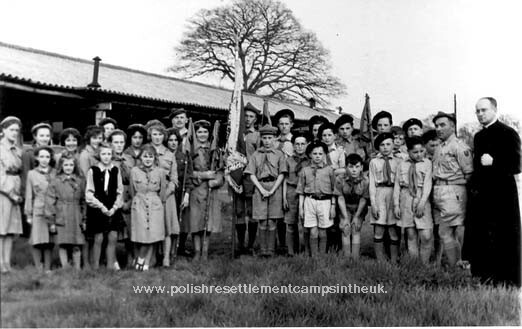 In later years the scouts stayed as "Hufiec Szczesin" and the Guides took on the name "Bałtyk"
Beside the normal weekly scout and guide meetings in Northwick Park Camp the troop had contacts with other Polish scout groups in the area and often met up at camp fires and official celebrations. 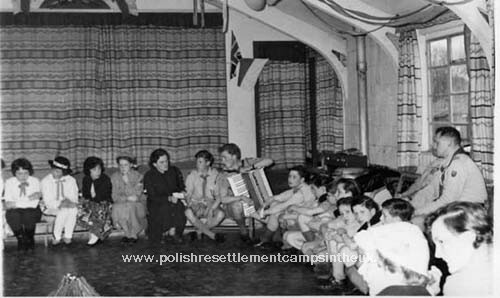 Parades and camp fire were were held usually held outdoors but if the weather was bad we had the use of the main hall in the camp. Northwick Scouts and guides with Fr. 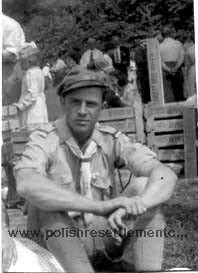 E Rytko. 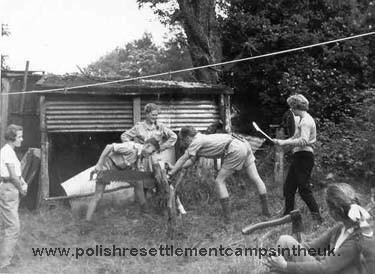 In the 50s 60s and 70s there where two Polish Boarding Schools in England one for girls in Pitsford in Northampton by the Nazareth Nuns and the other for boys in Fawley Court, Henley on Thames, run by the Marian Brothers. 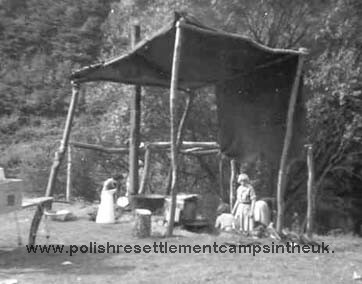 Annual gatherings of Poles from all parts of Britain were held at these schools. 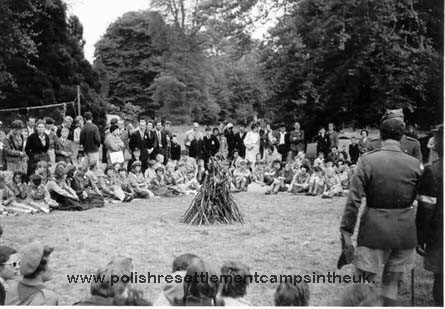 The largest gathering was, at Whitsun in Fawley Court. 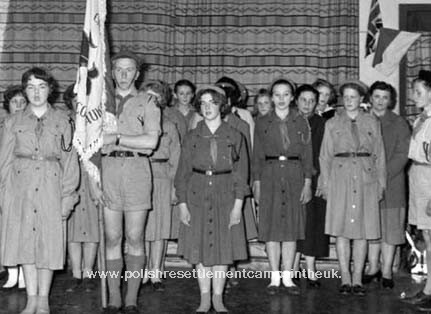 For the scouts and guides this was a three day event under canvas and our duty was to be marshals these events and at the end tidy up the sits. 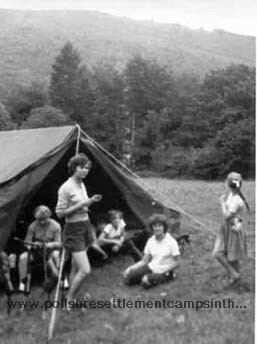 Close to St. Briavels, by the river Wye in South Wales, stands in its own grounds a country house which became an outward bound base for outdoor activities and camping for all guides and scouts from the company "Hufiec Szczecin" We spent many very happy camping holidays there. 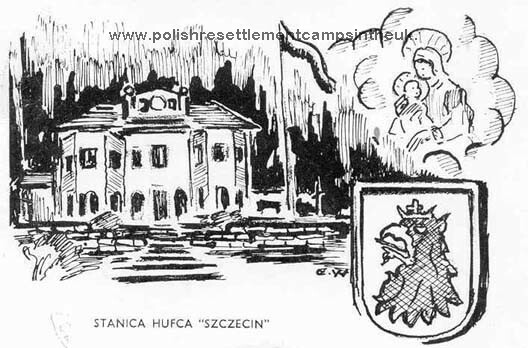 The house and grounds are still enjoyed by many Polish scouting groups to this day. 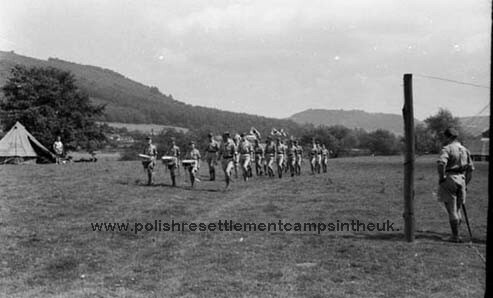 Scouts parading through the grounds of the scout camp in picturesque Wales. 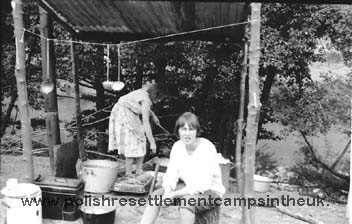 Many thanks to Regina Danyluk Rysiak Sozanski and Edmund Balawajder or providing the photographs on this page.